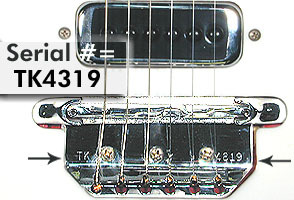 Welcome to Rickenbacker's serial number decoder page. 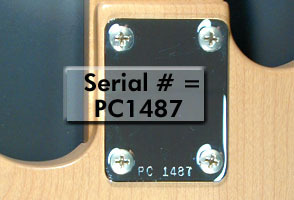 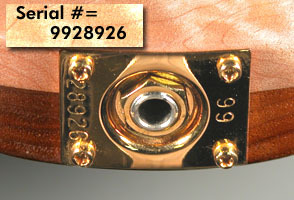 Rickenbacker serial numbers have been issued in a number of formats. 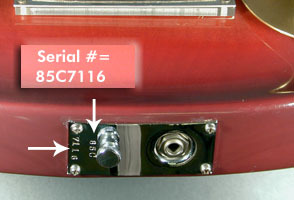 To the right and below, you will find some images that will hopefully help you to locate the complete serial number on your instrument. 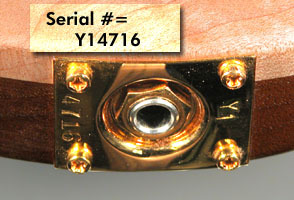 Please be aware that some instruments manufactured in the late '50s cannot be interpreted by this decoder.